If you’re looking for really great Introductory Microsoft Publisher 2013 Training you’re in the right place. Companies large and small choose us – why? Your own tailored, Introductory Publisher 2013 Training course, at your own premises at the same price as a standard course from elsewhere. On the Introductory Microsoft Publisher 2013 training course, you will learn how to create publications from scratch. You will format text; you will insert and link text boxes. You will insert WordArt into a publication. You will discover how to create and format tables. Because we train at your site, part of the training day can be spent working on your publications. This will make the training very relevant to you. Our Microsoft Publisher training courses London, are available not only in London, but Surrey, Middlesex, Richmond, Twickenham, Hounslow, Brentford, Putney, Wimbledon, Staines, Egham, Feltham, Redhill, Reigate, Reading, Croydon, Bracknell, Uxbridge, Farnham, High Wycombe, Crawley, Sutton, St Albans, Watford, Fulham – in fact anywhere within the Home Counties and M25 corridor. 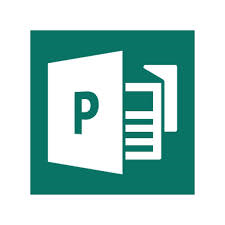 This course aims to give delegates an introduction to the publishing tools and features of Microsoft Publisher 2013. The Microsoft Introductory Publisher 2013 training course is of one day's duration.